Reach New Heights. School is Cool. 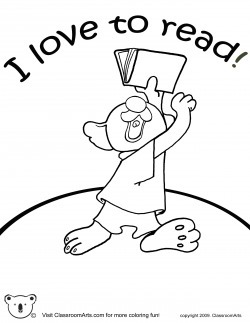 Koala reaches the top with a good education! Fantastic places await at just the turn of a page. 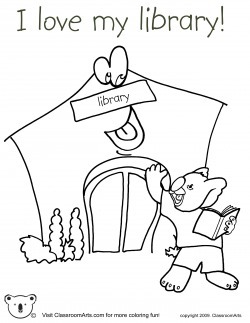 Koala GoGo loves his school library because he can read all the books he wants. You can't build something without imagining it first. 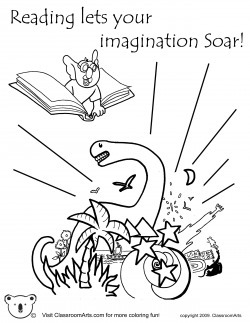 Use your imagination to invent, draw, write, and build. This is your world to make! 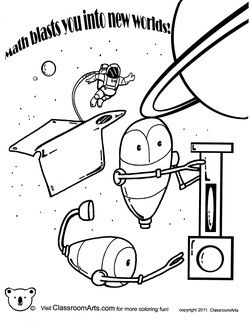 Math Blasts you into new worlds! 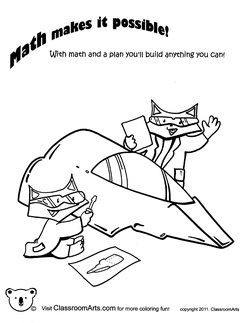 Math is the foundation for the technologies that drive the future. 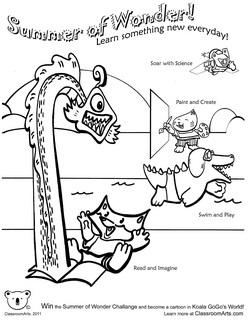 Go beyond our frontiers by discovering the power of math! Measurements and math formulas are the key to building your plans into reality. Be a master of numbers and see how your knowledge of math helps you zoom forward! Summer of Wonder. Learn every day. Summer can be an incredible time for students to get ready for their next grade level. Continuing a student’s education into the summer months through programs, classes, and parent guidance gives the student a great advantage when school starts again, leading to better comprehension and grades. It is so important for parents and educational leaders to reinforce the idea that learning during the summer is fun and cool. Use “Summer of Wonder” to encourage a summer of learning and discovery. As children transition through grade levels at school they need to adjust to different classroom settings, teaching styles, and peer culture. These adjustments shape the way students respond to school, find self identity, and engage in learning. As an educator, you can help make sure the classroom environment acts to encourage learning by developing a community culture where students feel safe to ask questions and are galvanized to excel. 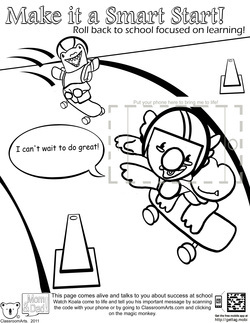 *For more back to school fun watch the video-comic Koala GoGo Presents: Back to School! Swish. Put trash in its place. 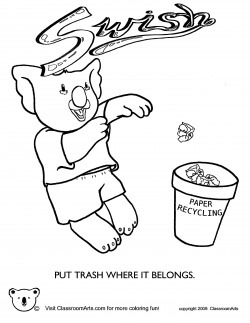 Koala scores big points for not littering. From air to land to sea, the world is more than just you and me! Let's take care of the earth for everyone and everything! 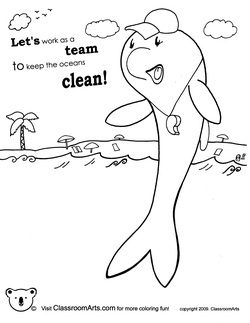 Let's all do our part to keep the oceans clean so we can all enjoy the water. Remember not to litter when you are at the beach! I'm a clean, green, earth-loving machine! 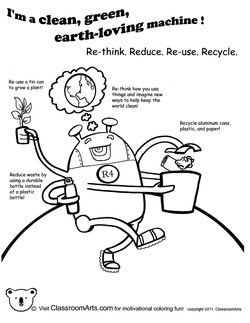 The earth is ours to take care of. Next time you are about to throw something away, think if you can use it for something else. With some creative thinking maybe you can turn your trash into treasure! Saves the bees. Plant flowers and fruit trees. Bee populations have been decreasing at an alarming rate. The majority of plants and flowers that are used for food are pollinated by bees. Without bees our entire food chain would be in danger. 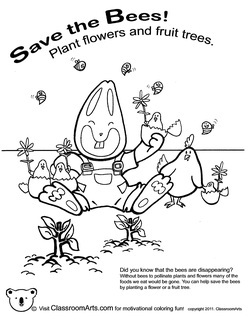 You can help by planting flowers and fruit trees that provide a safe space for bees. 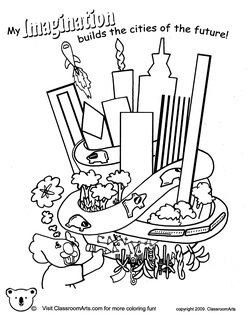 “Let’s be clever when we recycle together,” is a great coloring page to start brainstorming recycling projects that parents and kids can use as a way to spend time together and solve problems creatively. 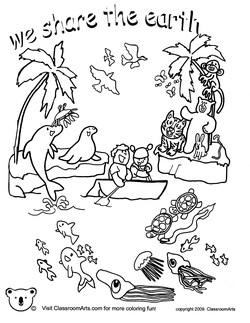 This coloring page comes with a funny video. 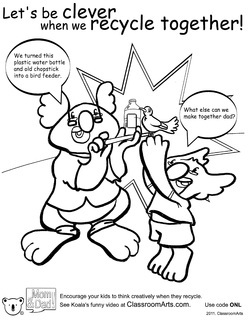 Watch "Koala recycles"
The role of the father is crucial to the development of children. When a dad plays with his child they are giving the child clues on how to think about and handle problems. Clinical evidence suggests that children that spend time solving problems with their dads grow up to be more self confident and perform better in school and work than their counterparts that didn’t have the bonding time.